You can earn 190 yards with this purchase! 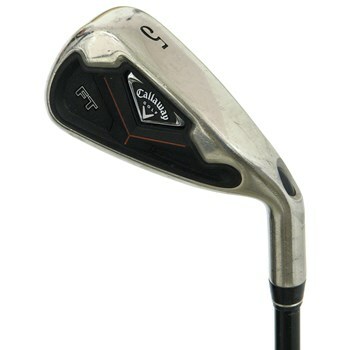 The Callaway FT irons are the evolution of the Fusion irons. They feature a thinner top line, higher toe, and less offset to appeal to the more accomplished player and provide a more traditional look. Its high-density Tunite Cradle allows 80-percent of the club''s weight to the extreme perimeter for a high MOI and more forgiveness. Its hot titanium face provides faster ball speeds for more distance and forgiveness--even on off-center hits.